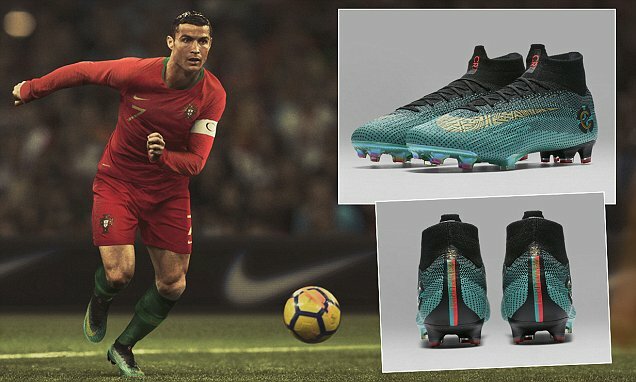 Sports merchandise brand, Nike, have released the latest pair of unique football boots that will be worn by Cristiano Ronaldo and it is inspired by his role as captain of the Portugal national team. 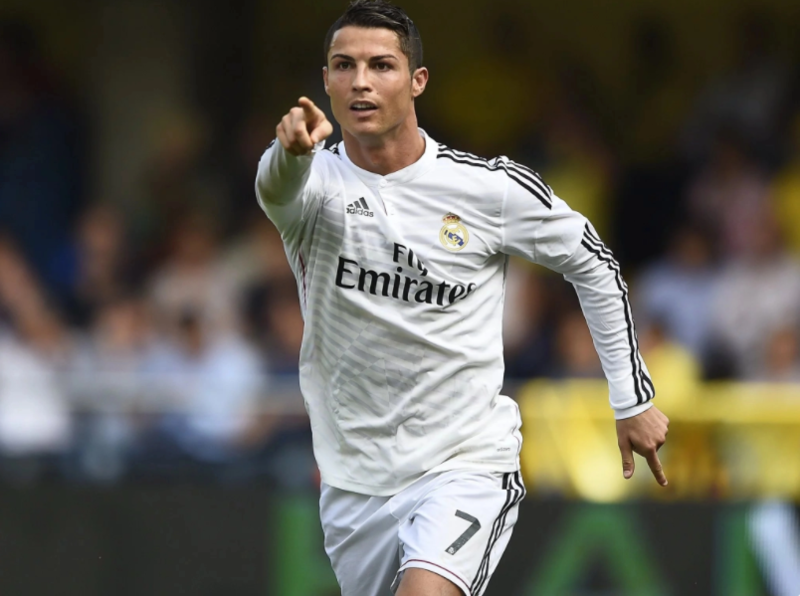 Ronaldo’s previous boots were inspired by highlights from his historic career, including leaving home and his first game against Manchester United for Sporting. Shortly after unveiling Portugal’s new Nike kits for the summer’s World Cup, the sportswear giant has announced new series of seven CR7 signature Mercurial boots. The boot is named ‘Born Leader’, the hyper jade boot is designed to complement Portugal’s traditional colors with a captain’s ‘C’ woven on the side. Cristiano Ronaldo has already trained with his new Nike Mercurial boots that represent his achievements with Portugal. The C is for Cristiano and captain. “When I play for Portugal, I feel good. Not just for myself but for my whole family and friends. “To be captain of the Portugal national team makes me feel proud. Of course, it’s great to be the leader of the team. Look out for the sparky boots on Ronaldo legs as he will be wearing them for the first time in Friday’s March 23 friendly against Egypt and they will be available for fans to buy on March 20 on Nike.com and in stores from March 22. 0 Response to "Bring on the World! Nike Unveil New Cristiano Ronaldo Boots for the 2018 FIFA World Cup (Photos)"